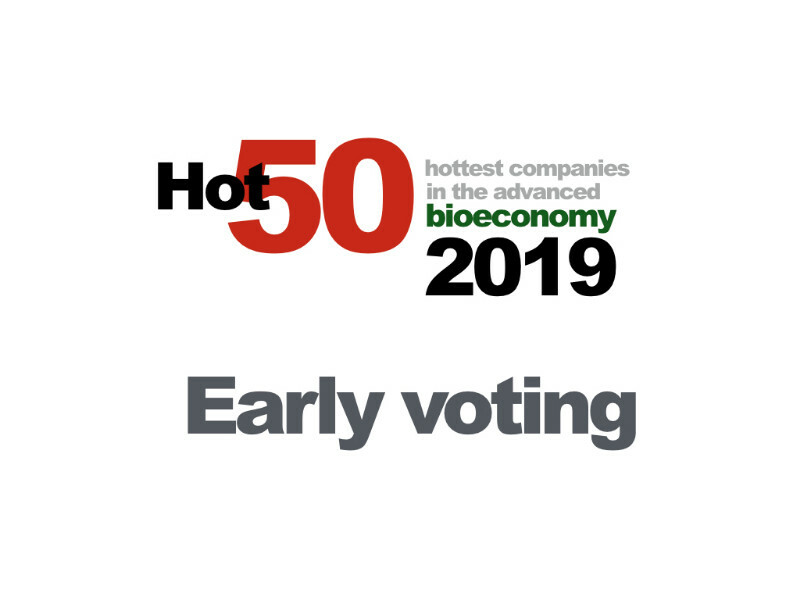 In Florida, LanzaTech, Amyris, Novozymes, Neste, POET/DSM, POET, Impossible Foods, Anellotech, Beyond Meat and BASF have taken the lead in early voting in the 50 Hottest Companies in the Advanced Bioeconomy ballot. The Digest released the early-voting totals from Subscriber Voting — which do not yet include Invited International Selector votes. Notable among the leaders is the rise of a truly international set of leaders — from Europe: Novozymes, Neste, BASF, DSM, AkzoNobel, Evonik, IKEA, Stora Enso, Clariant, avantium, Haldor Topsoe, Borregaard, Syngenta, Evolva, and Corbion are among the early leaders; from Canada, Enerkem and Ensyn’ From Brazil, Braskem; LanzaTech, though now a US company, was founded in New Zealand. Also notable are the strong presence of major strategics such as Coca Cola, DSM, Neste, ADM, BASF, Braskem, Clariant, IKEA, Shell, and AkzoNobel among others. And, the number of (primarily) chemicals players such as BASF, Braskem, Anellotech, Genomatica, AkzoNobel, and Avantium. In aviatino, United Airlines, SkyNRG, and Fulcrum BioEnergy. Also, fresh faces such as Impossible Foods, Ginkgo BioWorks, Evolva, Beyond Meat, Pivot Bio and Zymergen were scoring well with voters. Each year, Digest subscribers and a panel of invited international selectors choose the 50 Hottest Companies in the Advanced Bioeconomy. Complete rules, dates and background is here. Below are the leaders in early voting through February 11th.